When you have an electrical problem at home you call an electrician right? When you want to understand the environmental impact of clear cutting a forest you talk to someone who studies forestry. In the Army we would call these people subject matter experts for SMEs. We are most comfortable taking guidance on any subject from an expert or someone with a lot of experience in that subject. Too often we have people in Washington or at our state capitals making decision that impact the lives of veterans or service members without input from those that are most affected, the veterans. We often see well-meaning programs and organizations out there trying to improve the lives of the people they serve without asking how they can best help. One of the first questions I ask other veterans from the Army is their MOS. An MOS is a military occupational specialty and it tells you what job a person does in the military. When I come across someone that had the same MOS as me the discussion immediately turns to what duty stations they were at, what units they served with, what kind of experience they had doing that specific job, and how long they served. I find myself on common ground with them and we understand each other’s experiences and we speak the same language. 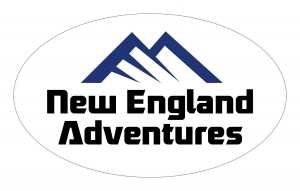 I have seen this scenario played out over and over again in the several years I have done my work with New England Adventures. When veterans first meet each other they ask what branch of service the other was in, when they served, where they served, what kinds of deployments they went on. They ask these questions because they are seeking common ground. They are looking for someone who speaks the same language. They are looking for someone like them who understands what they have been through. These shared languages and experiences become the seeds that quickly grow into trust and friendship. If you know what another person has done for their country and you can understand the sacrifices they have made you can’t help but trust them and understand them in a more meaningful way. This community and these friendships have often become the catalyst for growth and change. When you meet someone like you with similar experiences and struggles you can often share what resources you have found that have helped you out. When you hear someone else’s success with a certain doctor or therapy you can trust that information. When the trust and friendship has been established through shared sacrifice then it is easier to listen to this advice and follow suggested remedies. The more I work in this organization and I see men and women becoming a support structure for each other, the more I am convinced that veterans are a critical resource for other veterans. There is no one I trust more in this world than my brothers and sisters that I have served alongside. There is no advice I cherish more than men and women who have known the struggle of selfless service. I am a resource to my fellow veterans and veterans are a resource to me. I challenge every veteran or service member reading this to understand and embrace the truth that you are a critical resource that your brothers and sisters need. We can support each other and through collective effort help each other through the struggles we still face. No one understands the issues of those who served better than those who have served. Ask yourself this question, are you doing your part to be a resource to your brothers or sisters who need you? Are you connecting with other veterans and sharing your struggles and better yet, your victories? Are you looking for opportunities to make a difference in the lives of the veterans you know? Are you being the resource that your service to this country has made you? Are you being a part of lowering the number of 22 veteran suicides a day or are you standing on the sidelines and just being an observer? I challenge each of you as I challenge myself daily to be a resource and make a difference in the lives of the veterans you know. Get involved! Find a group or organization that you love and volunteer. Our brothers and sisters are losing their battles every day. They have been asked to bare burdens that are often too heavy for them to carry alone. Will you be the one to make the difference in a life? If you do you just might be surprise at how helping a brother or sister in need can make a positive impact in your life too. Excellent and spot on story. As a veteran I have been meeting and sharing life experiences and listening to those who served as well as active duty military. It is our responsibility to look out for each other.